… on your iPhone or iPad for $34.99. With a spectacular diversity of landscapes, elevations and habitats, the nation of Peru is extremely rich in history, culture, and, of course, birds! Home to over 1800 species of birds, Peru has some of the birdiest places on earth and attracts birders and nature enthusiasts from around the globe. Range maps showing species distribution in Peru. The brilliance of Peru’s birds has been an integral part of the nation’s history, and plays an important part in the nation’s cultures and peoples of today. 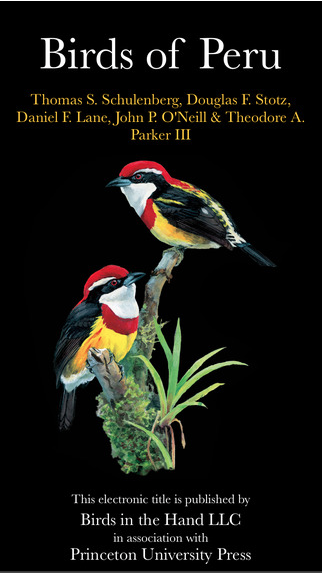 Birds of Peru is an important and must-have tool for all birders and travelers in Peru, and is also useful in Colombia, Ecuador, the Brazilian Amazon, and Bolivia. 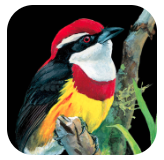 The initial release of Birds of Peru will be for the iPhone/iPad/iPod. We hope to introduce an Android version of the app in the future. Please let us know if you are interested in an Android version and we can add you to our mailing list for status and updates.